F-16 Vs Μirage 2000 dogfight and Phantom II ground attack simulation are just a preview of what the audience can admire at the Tanagra AFB on September 16-17. 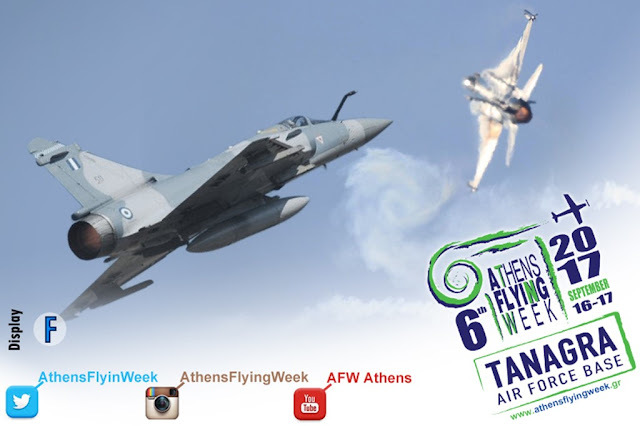 We had already published the press release dedicated to the event here, but in the recent days new major aircraft have been confirmed at the show that will take place at Tanagra Air Force Base, Athens, on Sept. 16-17. A pair of Hellenic Air Force F-4E AUP Phantom II jets from the 338th Fighter Squadron based at Andravida Air Base will fly a simulated low altitude airfield attack followed by a low pass. In addition, an Hellenic F-16 and a Μirage 2000-5 will engage and perform a choreography of Advanced Combat Maneuvers in an epic dogfight! The two F-16 fighter jets will also perform low passes and approaches over the runway of Tanagra AFB. The static display will add two USAFE F-16C aircraft coming from 510th Fighting Squadron "Buzzards", based at Aviano AB, Italy.